In theory, it sounds like a great idea, one that would serve many different interests. The question is legally whether such an option is truly viable. Public banks and private banks behave very similarly, in that they can both issue loans and take deposits. However, there are some important differences. While private banks are owned by shareholders, public banks are owned by the public, i.e., taxpayers. Public banks are operated by government-appointed or elected officials, while private banks are operated by a board of directors who are chosen by the shareholders. The purpose of a public bank is to support public priorities and also to turn a profit for the benefit of the public, while a private bank generates profit for its shareholders. 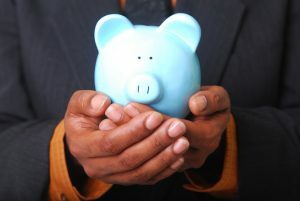 Financial experts say there are numerous benefits to public banks, even when they aren’t operated to assist cannabis as an industry. Profits could go toward certain state needs, such as schools and infrastructure. The only publicly-owned bank currently is operated by the state of North Dakota, which has generated some $85 million in the last four years, extending low-interest loans to farmers and students. Most of that money goes to support a myriad of public works projects. While California voters have agreed to green light recreational marijuana, current banking policy makes it an extremely risky venture, both financially and to physically. A public bank could help. The majority of private banks refuse to work with marijuana businesses because the substance is illegal per federal law, and most banks are regulated per federal statutes and authorities. A bank that is owned by a city or state could potentially sidestep this, as such banks are insured by the state, not the federal government. However, state and city banks could be hindered if they are blocked from the Federal Reserve system, which allows banks to process wire transfers, checks and electronic payments. Absent that power, the “bank” essentially becomes a large vault of cash. There is no hard-and-fast line on this issue, but as our marijuana business attorneys know, there could still be legal barriers for the process. A credit union in Kentucky was denied access to the Federal Reserve when it applied for access, but the Federal Reserve refused, citing the credit union’s catering to cannabis businesses. The credit union sued and lost at both the district and appellate levels. However, California is the sixth-largest economy in the world, and with that comes a lot more clout. The Federal Reserve may be more willing to come to the table, but it remains to be seen.